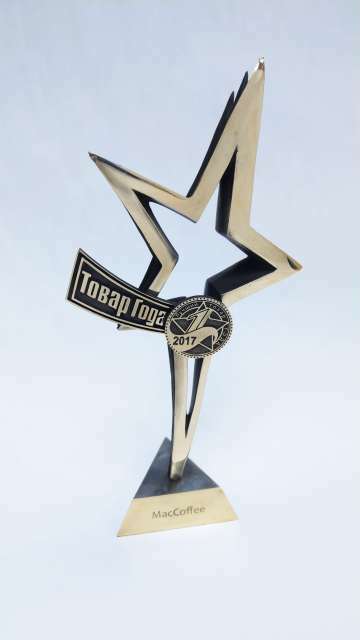 On November, 22nd, the annual Product of the Year 2017 National Award ceremony took place in Izvestia Hall (Moscow).Products in over 50 food and non-food consumer categories were nominated to contend for this award. The products were selected from the list of categories most frequently purchased by consumers in retail stores. For over 20 years MacCoffee remains the leader of consumer preferences in Coffee with milk/cream/sugar category. The winners of the contest are the top products and brands listed in an independent research carried out by AC Nielsen. We would like to take this opportunity to thank all our consumers for your confidence in our brand.